The username and or password you entered is incorrect, please try again. On your Apple iPad or iPhone you will be able to view static graphics on this page and for sessions you have created. But as these devices don't support Flash, you'll need a different computer to create sessions or view them interactively. 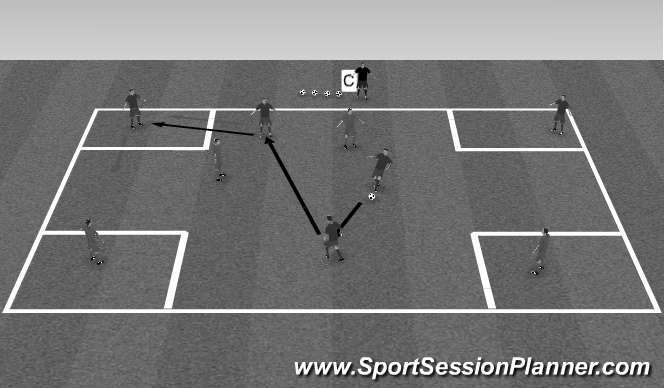 Currently, you will see static black & white graphics on this page and for sessions you have created. Please switch back to the colour view, to view them interactively. This screen shows a team going through two warm-up routines. 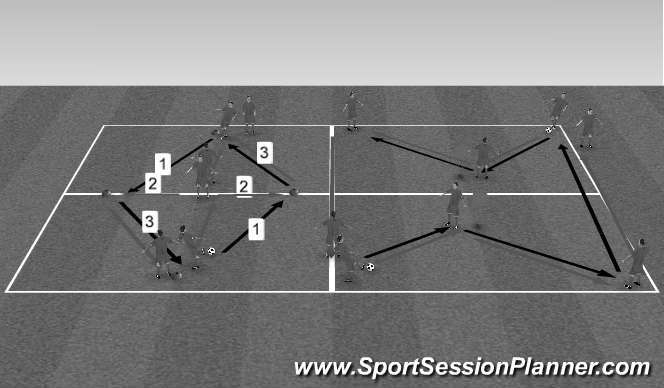 As coach, you can show this progression as a full-screen video. 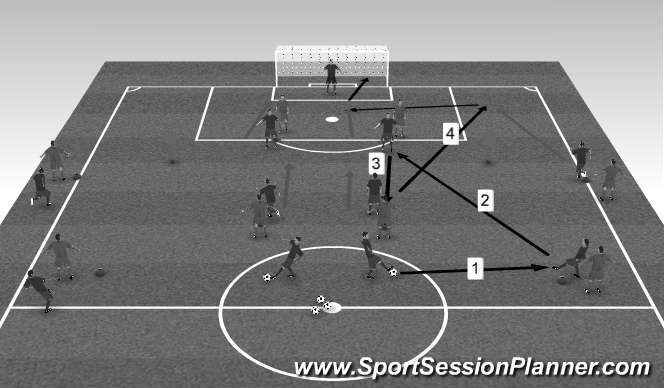 You can also use the button controls (or drag on the pitch with your mouse) to view the session from the ideal angle to demonstrate each routine in turn. 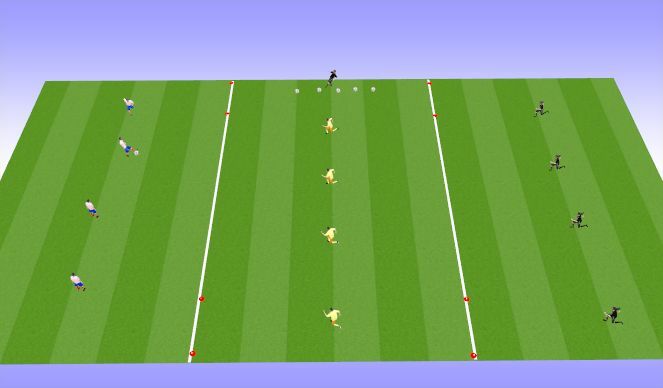 Select lines with a click, and draw them on the pitch. View on a mobile phone on the pitch, present in full-screen, or print-out in colour or black & white.